One of the very best twentieth-century accounts of Jesus in his time. 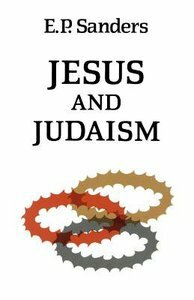 - Publisher This work takes up two related questions with regard to Jesus: his intention and his relationship to his contemporaries in Judaism. These questions immediately lead to two others: the reason for his death (did his intention involve an opposition to Judaism which led to death?) and the motivating force behind the rise of Christianity (did the split between the Christian movement and Judaism originate in opposition during Jesus' lifetime? ).